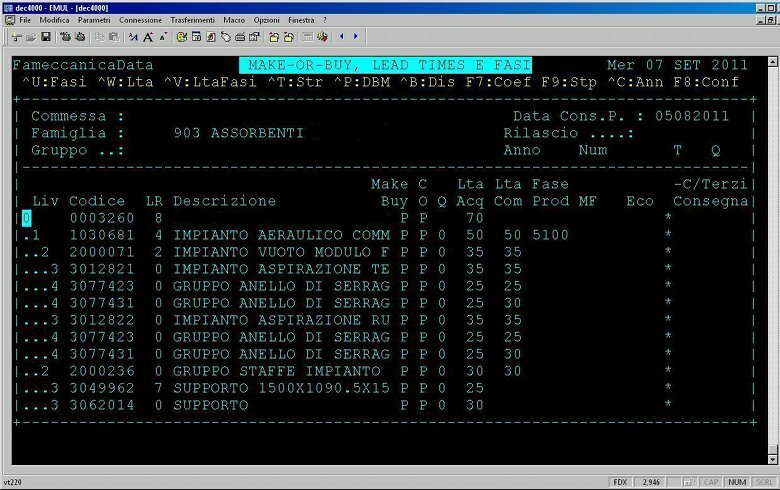 S.Giovanni Teatino, Italy – September 26, 2011 — Fameccanica.Data S.p.A., the world’s leading equipment supplier to the hygienic, disposable, absorbent products industry has announced deployment of its refreshed ERP and e-procurement system developed in Genero. “In light of the excellent results, Fameccanica will develop future applications in Genero and continue to modernize the remaining Informix 4GL catalogue,” says Marco Colli, director Strhold, Four Js Italian value added distributor. “The whole project went extremely smoothly. Although from a functional perspective Fameccanica.Data’s information system was state-of-the-art, their character based nature was becoming a problem for end-users. Genero was selected to provide a graphical user interface with minimal disruption to the existing Informix 4GL source code that had been crafted over the last 20 years. It is this proprietary ERP system that is the secret to their success. The first steps involved simple program modernization and the redesign of the user interface to make full use of Genero’s GUI capabilities. As Fameccanica’s confidence grew, so they added new features; the creation of Excel reports linking to back office systems via Web Services being a good example of how new features can greatly improve productivity. Perhaps the most important improvement is the implementation of a new ‘Work Order Macroplan’ module (see screenshots below). 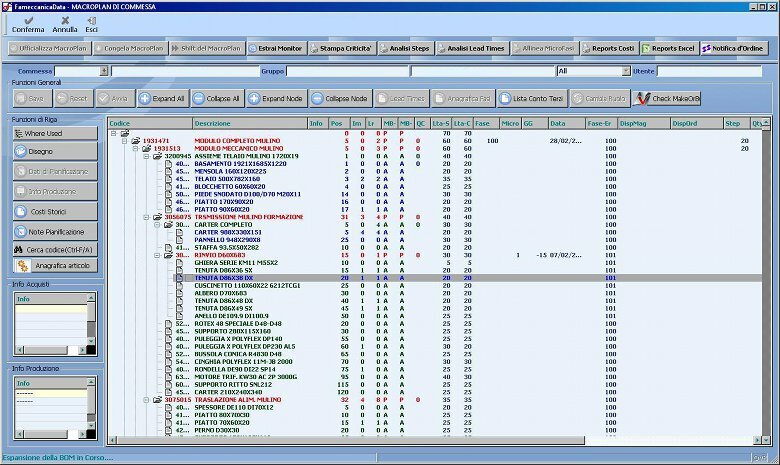 This program now enables logistics employees to view an expanded view of the Bill of Materials (using the Genero tree widget) and plan accordingly the procurement strategy (manufacture internally, externally or buy). The availability of raw materials supply in each case is now clearly visible and choosing the appropriate procurement path is greatly facilitated. So far, one third of the suite has been modernized, covering e-procurement, planning and control, purchase requisitions, and other auxilliary functions. Over 150 programs and 170 user screens were modernized in just 4 months to the delight of 70 users. Plans are being laid to extend Genero’s reach to warehousing systems. Fameccanica operates in the production of disposable absorbent sanitary products. Since 1975 Fameccanica.Data has been steadily expanding its growth-trend and today the company boasts the status of an International Group. It devises, designs, manufactures and installs complete production lines for the production, grouping together and packaging of diapers for babies, training and youth pants, lady napkins, pantiliners and products for incontinent adults including briefs, pull-ups, bed underpads and products for light incontinence pads and male guards. As well as this is their ability to develop special projects on request mainly aimed at disposable absorbent sanitary products and also sectors differing from the core business, for example, light logistics, the packaging of laundry & cleaning products, converting tissue and labelling. 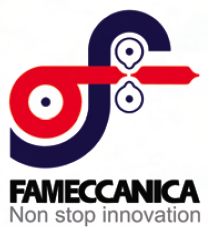 Fameccanica.Data is the founding member of the Group and the centre of excellence for the development and design of all technology platforms and the production of top performing, highly innovative machines. The group comprises four affiliates: Fameccanica Data, Fameccanica Machinery Shanghai, Fameccanica do Brasil and Fameccanica North America – all deeply rooted in their region and closely linked with their customers. Fameccanica.Data Italia is the centre of excellence for the design and development of all the Fameccanica technological platforms sold worldwide and for the production of high-performance, highly automated machinery intended for global markets. Its location makes it an ideal reference point for global players and especially those that operate in Europe, the Middle East and Africa. It comprises 405 employees, of which 73 are engineers, 20 designers dedicated to R&D, 16 salespersons, 10 project managers and 60 technicians specialised in the installation and start up of manufacturing plants. Fameccanica do Brasil, set up to handle specific local needs, manufactures and manages the Fameccanica machinery which is sold to its customers in Brazil and other Latin American countries. Last but not least, Fameccanica North America, located in the U.S.A., was set up to ensure a high level of before and after-sales service and an efficient connection with the Group’s operating companies for all its customers in the North American market. 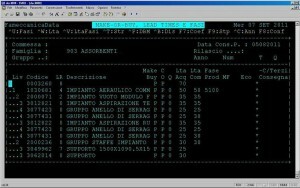 Each company activity contributes to producing an added value not only for Fameccanica.Data but for the entire Group. Here they study state of the art projects, create pre-series and develop logistical and managerial organisation systems that are of use to all the companies in the Group.